We are seeking an individual to join our consulting team to provide a high level of quality service, professionalism and commitment to clients by advising them on employee benefits, specifically: medical, prescription drug, health & wellness, dental, life, and disability plans. Developing and recommending plan design changes, policies and practices that are aligned with a client's priorities and overall strategy, ensuring compliance with legislative requirements and appropriate competitive positioning, and taking into consideration the potential human capital, financial, process and technological impact of making those changes. Assisting clients in obtaining feedback and gaining consensus/approval from interested parties on plan design and policy recommendations. Advising clients on vendor selection including the RFP process, analysis, negotiating contracts and service level agreements, and implementation. Project planning, change management, resourcing and leading. Advising clients on day-to-day administrative, fiduciary, compliance, and integration issues. Acting as a subject matter expert, providing technical knowledge to colleagues and clients, including relevant marketplace trends and developments. Identifying and recommending wellness initiatives and opportunities. Partnering with external service providers, actuaries, accountants, auditors, attorneys, and data analysis firms, as well as, the client's internal resources to successfully implement plan and policy changes. Assisting clients with due diligence, transition and integration strategy as it relates to merger & acquisitions. Assisting clients with strategic planning, benchmarking, budgeting, negotiation of renewals and ensuring competitive fee structures. Assisting clients with developing and delivering effective management reporting that meets governance best practices. Assisting sales personnel with scoping and budgeting for project deliverables. Ten or more years plan sponsor experience designing, managing and maintaining health & welfare plans. Twenty or more years of experience with benefits in plan sponsor, vendor, or consulting roles. Strong and in-depth knowledge of health & welfare benefit plans, industry trends and issues, regulatory environment, underwriting and insurance principles, wellness initiatives and best practices. Strong financial and analytical skills combined with the ability to interpret findings, anticipate issues and perceptions, and propose and effectively communicate (oral/ written) solutions across multiple levels and audiences. An undergraduate degree from an accredited university with a business emphasis (preferred) or related field, and the Certified Employee Benefit Specialist (CEBS) designation. A graduate degree and/or other related certifications would be a plus. Experience with collective bargaining would be a plus. Demonstrated ability in managing multiple projects with a focus on prioritizing and achieving results, and successful implementation of change. 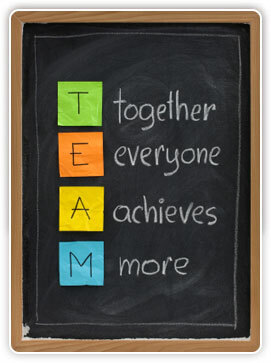 A team player with the ability to work effectively and collaborate with other professionals. For the right candidate, this unique opportunity offers rapid career progression, potentially leading to a partnership interest in the firm. Reporting to the President, this position will initially be as a subcontractor.